One of the most difficult problems that confronts clinicians and medical professionals is how to apply ethical principles to real decisions affecting patients. In this even-handed book, Foster examines the three main approaches to moral decision-making: goal-based, duty-based and rights-based. She examines the underlying philosophical arguments behind each, their relative strengths and weaknesses, and how they can actually be applied. She also looks at the problematic boundaries where best practice ends and experimentation begins. Is it ethical to experiment with new cures on people who are probably dying anyway? And how do you assess quality of consent? This book provides a thorough, non-partisan grounding in what the ethical principles are and what informs them. 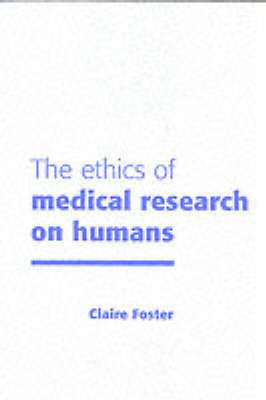 It is an invaluable preparation both for a researcher being interviewed by an ethics committee and for the people sitting on the committee, and will be essential reading for all medical decision-makers.